I was hired in August 1967 at the CEA/DAM center of Limeil-Brévannes as a computer maintenance technician for one month. I worked there in the Computing Center under the direction of Mr Gilbert Comparetti. My work concerned a 3-D visualization software allowing stereoscopic vision of mathematical surfaces, as a FORTRAN-4 library. Images were computed on an IBM 7094 mainframe, and printed on a Stromberg-Carlson SC4020 film printer. 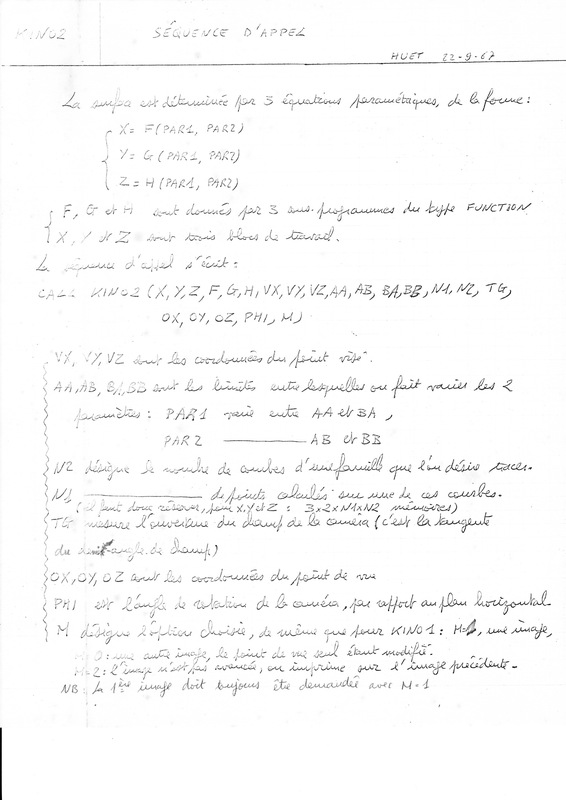 This software was registered in the CEA Bibliothèque Graphique with a technical note GRAF.001. This archive contains a documentation as a pdf document including the flow-chart of the program. All Fortran sources may be found in the directory SOURCES, as jpg images. A few examples (torus, Plucker's conoid) are given in the directory EXEMPLES. I then added dynamics to the graphics library, in order to experiment in 3-D animation. Two versions KINO1 and KIN02 were developed, differing essentially in the representation of the visualized surface. 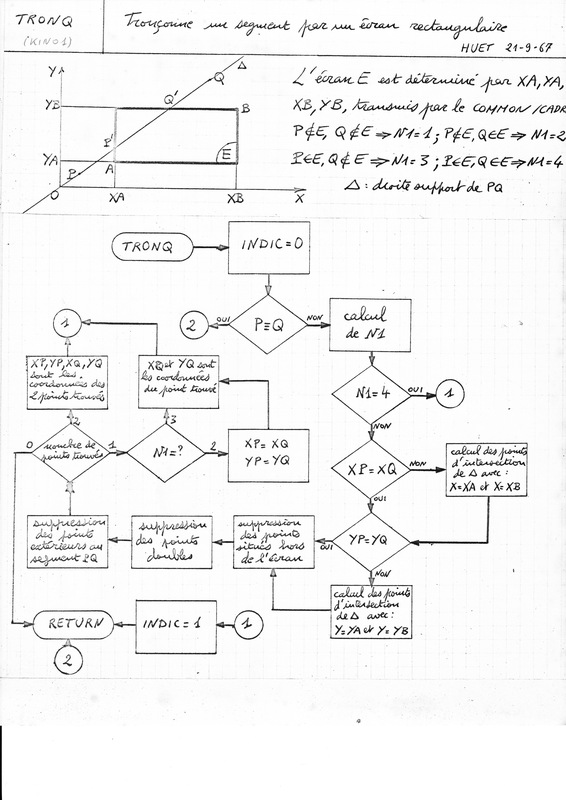 KINO1 is documented with its truncation algorithm, flowchart, Fortran listing, and an example showing navigation through a Plücker's conoïd gif animation. KINO2 is documented with its call sequence, and listing.